I'm Pal Raine, I blog about EVENTS, TRAVEL, LIFESTYLE and my PERSONAL takes about anything and everything in general. My life is my message. 2018 ACD Grand Alumni Homecoming With Theme "Assumptionista, Let's Rock N' LOL (Live Our Legacy)"
A Blogger in General. A Social Media Influencer. 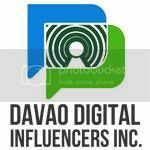 Membership Coordinator of Davao Digital Influencers. "foodpanda brings back the biggest food sale event: Hot ‘n Hungry!"